Strauss begins his book with a discussion of the importance, for the Christian, of seriously and critically investigating the beginning of the universe. He explains that since God created the universe, it accurately reveals His character and His glory (Psalms 19:1). An investigation of the universe will present evidence for its Creator and the proper worldview. Those who are presented with this evidence should follow it where it leads. If evidence for God is presented by the creation, then it follows that the investigator should believe that God exists. The reigning model among scientists is the general big bang model. 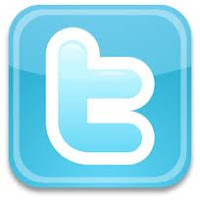 Many scientists claim to hold to this model due to the evidence that the creation has presented to them for its truth. Strauss explains that if some form of the big bang model does accurately explain the beginning of the universe, it has great implications for the discussion of God's existence, His character, and whether someone should follow Christ. Thus it is imperative that the Christian approach this topic with an open and evangelistic mindset that is committed to not only the inerrant truth and authority of God's Word but also the truth revealed by God's actions (His creation). With this, Strauss transitions into a description of the general big bang model and some of the evidence that convinced even atheistic scientists that it accurately describes the beginning of our universe. While many Christians have heard of the big bang model for the creation of the universe, there are some dire misconceptions of it that prevent an accurate assessment of the scientific and biblical evidence for it. Strauss begins by correcting these misconceptions, including the ideas that the big bang was an explosion of preexisting matter and that it was an explosion at all. He explains that the big bang merely posits that the universe began from literally "no thing" some time ago in the finite past. Strauss uses an analogy to the game of Mouse Trap to explain how we can reasonably conclude how the universe formed. Beginning with the proper setup of the elaborate trap and knowing how the laws of physics operate, without ever turning the crank, we can still accurately imagine how the process will unfold to finally trap the mice. Likewise, we can begin with the most fundamental particles of the universe and the laws of physics and use computers to "imagine" how the process will unfold to create a universe. As these computer simulations go through the process, we see that they generate what we observe in the universe today, thus it is reasonable to believe that the big bang model that they simulate accurately represents the beginning conditions of our universe and the elapse of time since that beginning. Chapter 3: How Do You Know? Many Christians raise many challenges to the idea of the big bang that question the certainty of the conclusion and that conclusion's compatibility with the Bible. Strauss will address the biblical challenges later, but in this chapter, he addresses the strength of the observational and theoretical case. He begins by explaining how we can know events of the past even though no person was "there" to observe them (a common objection). For instance, observing the presence of a snake skin on the ground is evidence that a snake had shed its skin, even though no one was present to witness this past event. Just as if a snake shed its skin in the past, we would expect to find a snake skin, if the big bang happened, we would expect to find certain features as we observe the universe. Before getting into the observations and to keep things interesting, Strauss notes that at the time the evidence for the big bang starting coming in, scientists were perfectly satisfied with the current beginningless model of the universe at the time because it did not require any kind of Creator at all. However, when the evidence for a beginning of the universe started being discovered, it caused a huge philosophical uproar in the scientific community. Strauss describes the observations of the expansion of the universe, the radiation present throughout the universe, and the relative abundances of the elements. All the observations pointed strongly enough to the universe having a beginning. However, on top of that, theoretical physicists over the last century (including Einstein and Hawking) have done work that has been found accurate in their precise predictions of observations, and others have done work that solidifies the necessity of a beginning based upon both observation and theory. The beginning of the universe has been (reluctantly) accepted due to the certainty level demanded by the evidence even in the context of a philosophical presupposition against God's existence. But the big bang does not stop at merely providing evidence for the universe having a beginning. The big bang provides evidence of the identity of the Cause of the universe. Strauss explains that as will any good crime mystery story, the perpetrator leaves behind clues as to his or her identity that allows the investigator to accurately identify them. According to Romans 1:20, these clues are not only there but were intentionally left there and are clearly seen by those who investigate the universe. So, even if scientists are philosophically committed against the identity of the Cause of the universe, they will still clearly see clues that point to the attributes (thus the identity) of the Creator. Strauss emphasizes that this is exactly what is happening with the big bang. The first attribute of the Creator that Strauss shows is demanded of a big bang universe (thus evidenced in our universe) is the transcendence of its cause. If the big bang was the beginning of all energy, space and time, then the cause of the big bang has to exist outside this universe. Strauss explains that this is significant to identifying the Creator because only the Bible explicitly identifies the Creator as acting prior to the beginning of (thus being outside or transcending) the universe. This means that the Creator is not made of anything physical (matter or energy) and is something completely different: spirit, according to John 4:24. To identify further characteristics of the Cause of the universe, it is important to examine the fine-tuning of various features of the universe for life. Of the hundreds of characteristics that would be examined, Strauss has chosen to describe three to keep from getting too technical and losing the reader. Strauss takes a look at the amount of matter in the universe, the strength of the strong nuclear force, and the formation of carbon. All of these, if their numbers were slightly different, one direction or the other, from what they are, the universe would be not only be devoid of life but would be hostile to life. The fact that these values could have been different, yet are not, indicates that the Cause of the universe intended for the universe to be an eventual home for life. Building upon the finely tuned features described in the previous chapter, Strauss explains that Romans 1:20's claim that God's "attributes are clearly seen" is being demonstrated in the scientific literature. Strauss cites the works of several skeptical scientists who explicitly state that the design characteristics of the universe, that have been discovered as a product of modern big bang cosmology, point exclusively to the cause having intention, forethought, and ultimately a purpose for the universe. Some scientists believe this so strongly, yet they want to deny God as the Creator, that they believe that man (as an intelligent designer with purpose) will eventually be able to reach back in time to create the universe themselves. Even though they refuse to acknowledge God as Creator, His attributes are clearly seen and recognized by these skeptical scientists. This recognition of the intentionality and purpose of the Creator is exactly what the Christian should expect from the correct theory of the universe's beginning. Big bang cosmology is directly producing the results the Christian expects- that the universe speaks powerfully that it was created intentionally for humanity. Continuing on the topic of design for humanity, Strauss zooms in from the level of the universe as a whole to our galaxy, solar system, and planet. He explains how the type, size and age of the Milky Way Galaxy must be just right for advanced life to not only survive but be even possible. Zooming in closer, to our solar system, Strauss shows the specific charateristics of our sun are unique (and also finely tuned), and he discusses the importance of gaseous giant planets like Saturn and Jupiter for protecting life from cosmic debris. Finally, Strauss looks at some of the charateristics of our planet that make is uniquely suitable for advanced life. Again, in all of these investigations, we see that the creation reveals that is was created with intentionality and purpose. Summing up the previous chapters, Strauss emphasizes that the Christian not only has the testimony of God's creation that the big bang is an accurate description of the beginning of the universe, but the Christian also has the incredible alignment between the characteristics demanded of the cause of the big bang and the God of the Bible. These characteristics are not evident only to those who glance at the creation but it is unmistakeable to those who investigate it deeply. The Apostle Paul's claims about the clarity of the revelation of the Creator through the creation Romans 1:20 is borne out with every new discovery that confirms that the universe had a beginning and was designed for the benefit of humanity. For the Christian, nature is not the only source of truth from the Creator. The Bible is the Creator's written source of truth. Since both sources are from the same Author, when we interpret them, our interpretations cannot be in conflict because the sources themselves are not in conflict. Strauss explains to the reader that the Church has made mistakes in the past regarding interpretation that still make nonbelievers suspicious of the Church today, so it is important that we do not repeat the same mistakes as we search for the proper interpretation of debateable biblical passages. The two interpretive guidelines to always remember are that the passages are written from a particular perspective and that some passages do have multiple reasonable interpretations. While there is only one correct interpretation of these passages, honest disagreement on the correct interpretation can take place without questioning one's commitment to the Bible as God's inerrant and authoritative Word. These two guidelines are important in our humble pursuit of truth and will guide Strauss' investigation of the creation passages and their possible agreement with the big bang. Before beginning to investigate the creation passages of the Bible, Strauss takes the time to describe three rules of interpretation. He emphasizes that if this step is not done beforehand, then those involved could easily be using different rules of interpretation that will result in very little progress. The rules that he covers are not new and have been used since the beginning of the Church, but since they may not be explicit in the mind of the reader, it is important to lay them out. Strauss emphasizes the that the goal of interpretation is to discover the meaning that the author of a particular passage intended to communicate to the audience. The first of the rules is to always consider the literary context- the surrounding passages, the book, and the Bible as a whole. Driven by a commitment to biblical inerrancy, this rule requires that no two interpretations of two passages may be in conflict with one another. The second is to understand figurative language and recognize when it may be in use. Forgetting such an important thing can result in all sorts of misunderstandings, even in everyday life. Finally, we must consider the cultural context in which the passage was communicated. Strauss concludes the chapter with an exercise of interpreting 1 Corinthians 11:4-6 using these principles to demonstrate how they are properly applied. One of the big questions Christians have about big bang cosmology is whether or not it is compatible with sound exegesis (reading things out of Scripture rather than into Scripture). Essential to this question is the proper meaning of the word interpreted as "day" when used to describe the periods of time of God's creation. Using the principles and guidelines described in the previous two chapters, Strauss takes the reader through interpreting this word. Of the uses of the word "day" in Genesis 1-2 that do not refer to the days of creation, there are seven instances, four of which are unique in their meanings. Some refer to less than twenty-four hours, and others refer to a lot longer. All of these definitions are considered to be literal interpretations. Because of these possibilities, it is reasonable to consider that the original author used the word literally and that he meant it as a longer period of time. Many Christians, who strongly oppose even the possibility of this exegetical conclusion, often appeal to the immediate context to undermine this possibility. They propose that "day" in the presence of either a number or "evening and morning" necessitates that "day" is twenty-fours. Strauss examines the wider context of Scripture to provide examples of the presence of both of these (one even believed to also be penned by Moses) that do not mean twenty-four hours. The presence of these examples in Scripture undermine the claim that their presence in Genesis 1 exegetically demands a twenty-four interpretation. Another attempt to undermine the long-period-of-time interpretation is God's comparing the work week to the creation week in Exodus 20:9-11. Strauss points out that the same pattern is applied to a different period of time (years) just a few verses later, so if the application of the pattern necessitates that the compared period of time is twenty-four hours, then it requires that years are also twenty-four hours. But that conclusion is false, so it is also false that the application to the days of Genesis necessitates that they are twenty-four hours. Consequently, while the days of Genesis are periods of time, the Bible does not tell us exactly how long they are. Strauss has, thus far, shown how big bang cosmology is compatible with an exegetical, historical and literal interpretation of Genesis, thus it is perfectly compatible with Scripture. Even though the Bible does not tell us the details of how long the creation days were or when the universe was initially created, it does provide many incredible details that could have only been known by an eye-witness to the creation. Strauss takes this chapter to describe just a few. He begins his discussion of these details by reminding the reader that for proper exegesis (again, interpreting out of Scripture and not into Scripture) that all of Scripture is told from a perspective. We have to determine where exactly that perspective is in Genesis. Genesis 1:2 tells just precisely where the Spirit of God was, thus the perspective of the rest of the chapter- the surface of planet earth. Strauss notes that a confirmation of this perspective is that the sun and moon are described as "the great lights," yet we know that they are quite puny compared to other lights in the universe. The descriptor of "great" is only true if written from the perspective of the surface of the earth. Now, from this perspective, Genesis 1 describes the initial conditions of earth as formless, empty, dark, and watery. As scientists continue their investigation into the history of our planet and they develop and test theories of planetary formation, they are discovering that the descriptions of formless, empty, dark, and watery are a perfect match for the initial conditions of our planet. This could only have been known by the Creator since there were no human witnesses; this provides powerful confirmation that the Bible is truly inspired by the Creator of the universe. The other incredible details provided by Genesis 1 about the creation are present in the descriptions of God's actions on those days. Using the perspective established from Genesis 1:2 and being mindful of the original Hebrew and the context of the passages, Strauss takes the reader through properly interperting the passages and clearly states the claims of each of the days of creation. He then shows that each of the claimed events have been shown to be accurate by scientists in the appropriate fields. He also demonstrates how presumably problematic passages are resolved when the proper perspective is utilized and the original Hebrew words are considered. Not only is the content of Genesis 1 accurate, but the order is accurate as well. The Genesis 1 account of creation, when read literally and from the correct perspective, provides accurate (though not comprehensive) historical record of the formation of our planet and life. Considering how many different claims are made throughout Genesis 1 about the history of earth that the author could easily have gotten wrong but didn't, this evidence further solidifies the case that the Bible was inspired by the Creator of the universe. This comes as no surprise to the Christian, for this is exactly what is expect since the Bible and nature have the same source: God. One of the main concerns of Christians who reject big bang cosmology is that it requires that animals died before the fall of humanity. They believe that God created the world perfect with no pain, suffering or death, and Adam's sin spoiled all that. If this belief is true, then any view that allows for animal death before the fall of Adam and Eve cannot be true. Strauss' goal in this chapter is not a comprehensive examination of this view but rather a few surface observations that will cause the reader to consider that this is not the best way to interpret the Genesis text. As with before Strauss takes the reader into the greater context of the whole Bible to help interpret. Staying within Genesis, though, he notes that "very good" is used instead of "perfect;" God increases Eve's birthing pains, but does not create them; Adam knew what "death" was when God gave him the warning to not eat of the tree (indicating that he may already be familiar with death), and Adam did not physically die in the same twenty-four period that he first disobeyed God. The immediate context certainly does not require that the creation was without suffering and death before Adam's sin. Additionally, when the context is expanded to the New Testament, the death referred to in the context of sin is almost always spiritual death. Meaning that the death that was a result of the fall of Adam and Eve did not affect non-spiritual beings (such as plants and animals). Plants and animals could have died (physical death) long before sin entered the world (consequence: spiritual death). Since the New Testament describes death that cannot be experienced by plants and animals (spiritual death), the kind of death that they do experience (physical death) is not a theological nor biblical problem for the Christian who affirms that it took place before sin entered the world to bring spiritual death to spiritual beings. Many Christians are so zealous for Christ that they offer stories and evidence that are simply not true. Strauss begins the final part of his book by giving an example of one such story that is often repeated as scientific evidence of the truth of the Bible but is not a true story in the least. He explains that Christians must be careful of repeating such false evidence because it reduces the credibility of the rest of our witness for the Gospel. Strauss explains that some Christians fall victim to false evidences because they are unconsciously fearful that further investigation will bring a crisis of faith. An example of this would be when Christians have been repeatedly told that big bang cosmology is an atheistic theory and they are hesitant to study and accept the evidence because it would mean that Christianity is false. Strauss reminds the reader that there is nothing to fear on such studies (whether it is the big bang or something else) because we serve the God of all truth. And no matter what we find to be true, it will always be compatible with Christianity. Investigating and accepting what is true gives the Christian true reasons that they can provide to the unsaved as evidence of the truth of Christianity. Evangelism is not the only place where investigating and accepting the evidence no matter where it leads is a blessing to the Christian. Strauss relates a story of a friend who was an amateur astronomer who knew the evidence for the universe's antiquity yet he was taught all his life that the Bible only allowed for the universe to be young. This friend experienced a cognitive dissonance that resulted in his worship of God with his mind and heart being stunted. However, when the biblical compatibility of an ancient universe was presented to him, he was able to reconcile the evidence for an ancient universe with the truth of God's Word. The truth set his mind free and heart free to worship God like never before. Because we serve a God of truth, following the evidence where it leads is nothing to fear, and God will honor you with a closer relationship with Him and a more powerful witness to Jesus Christ. Many surveys and statistics show that people lose their childhood faith in the college years. Strauss attests to this in his experience as a college professor. He attributes much of it to a serious lack of the North American church's willingness to love God with all our minds. Our children are often discouraged from asking tough questions (see the previous chapter). They do not usually get intellectual recognition of their tough questions until they are in an environment where skeptics are all too eager to provide answers. When provided with evidence that contradicts what they have been taught about the first chapters of Genesis, they often reason that God is untrustworthy in the rest of His revelation, including the Gospel. If the Christian student does retain some semblance of faith, it is usually compartmentalized, but that compartmentalization does not last long; God is usually abandoned. Strauss explains that there is hope, though, through our setting the example and loving God with our minds. We must investigate and follow that evidence (again, see the previous chapter). He provides an example of the results of such an effort. One student went through the process described above all the way to the end of leaving the faith. However, when the truth of what Scripture actually does teach about origins was shown to be fully compatible with the evidence being offered as defeaters by the skeptics he spoke to, his faith was renewed. He realized that God, in fact, was truly trustworthy in what He revealed in Scripture. He followed the evidence and the logical path of trust from Genesis to Jesus. Jesus commands us to love God with all our minds (Mark 12:30), and when we do so, we can be the instrument that Christ uses to bring others back to Him. In the concluding chapter Strauss tells the story of an atheist who heard one of his talks covering the content of this book. While the atheist already understood and accepted the big bang as the beginning of the universe, he was never presented with evidence that it also powerfully supported the God of the Bible. After hearing Strauss speak of how the big bang was a theistic theory that was rejected for so long by scientists on that fact alone, he became interested and started investigating the claims of Jesus to be God. After completing his investigation he was convinced that the big bang, indeed, pointed to the God of the Bible as the Creator and that Jesus was who He claimed to be. This atheist surrendered his life to Jesus Christ, and Dr. Strauss has had the joy of watching him grow and become an enthusiastic ambassador of Christ. God spoke clearly to this atheist through His creation, and the Truth changed his life. As I mentioned in the introduction, when I read the sneak preview of the book, I was extremely excited and couldn't wait for Dr. Strauss to get his book published. This is the most succinct yet non-technical book I have read about the implications of the big bang on Christianity. I love that Strauss presents the basic case for the big bang from both nature and the Bible side-by-side. I loved his focus on Romans 1:20 and his clarifying that the big bang is inherently a theistic theory (it is not an atheistic theory, as many Christians incorrectly believe), and that is what actually caused the majority of the scientific community to reject the clear evidence for so long. I particularly appreciate his dedication to biblical inerrancy as he presents a careful and exegetical case from Scripture. He addresses the most common challenges and questions from Christians to help remove any fear that they are compromising Scripture or God's character at any point by following the evidence where it leads. Strauss' concise descriptions, use of analogies, stories from his life, and the sprinkling of jokes throughout makes a rather dry subject very enjoyable, understandable, and exciting. The length of each chapter and the book as a whole are perfect for those who are curious but do not have the time to devote to the more in-depth and technical works available (although it may spark an interest in pursuing a deeper investigation). 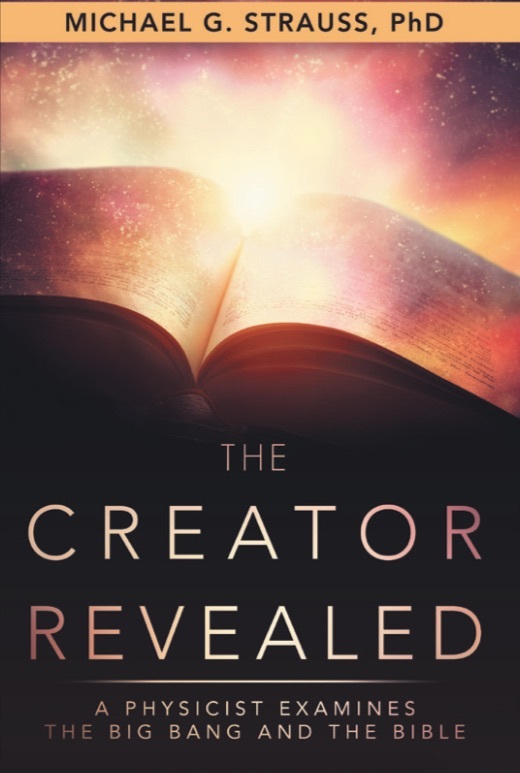 With all of these characteristics and the fact that it covers an extremely important evangelistic tool, "The Creator Revealed" is a must-have book for every Christian who is passionate about the Great Commission. This book needs to be in every church library and on the bookshelf of every Christian parent and educator and pastor. Most every Christian knows someone who has dismissed Christ from their lives because they believe that the creation, via the big bang, eliminates the need for the Creator. God has placed you in their life to show them how they have unnecessarily rejected their Savior. Get this book, and prepare yourself to "give [them] a reason for the hope that you have" (1 Peter 3:15).